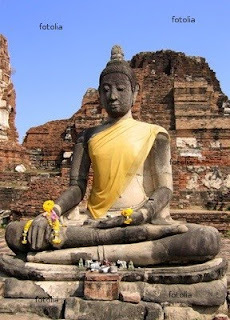 Most of us are taught that Buddha was born around 560 to 550 B.C. However, once we start doing some research, we find evidence that this date may be too late. Buddha may have lived much earlier. Let us see how Buddha is dated. Let us see the Traditional Theories at arriving date of Buddha. Long chronology Based on the Mahavamsa and Dipavamsa accounts which state that 218 years difference between Buddha Death and Ashoka Conversion. 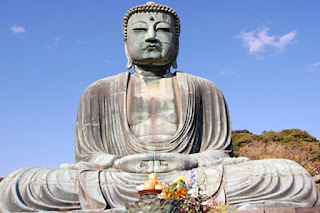 Which put date of the Buddha’s death is 544/543 B.C.E. short chronology Many Sanskrit , Tibetan and chinese traditions say the difference between date of Asoka coronation and Date of Nirvana of Buddha to be 100 years and Chinese accounts say 116 years. So the date can be anywhere between 544BC to 440BC depending on which theory you are following. Dot-ted record. This account, taken from Chi-nese sources and referred to initially by Tao-hsüan in the Ta t’ang nei tien lu, argues that when Upāli, first collected the Vinaya after the Buddha’s death, he marked a dot in the manuscript at the end of the pavarana, and continued the process in each year thereafter. His successors, Dāsaka, Sonaka, Siggava, Moggali-putta, Tissa, Caṇḍavajji, and so forth continued the process. Samghabhadra, who presumably translated the Samantapāsādikā into Chinese, is said to have put the 975th dot on the manuscript during a visit to Canton in 489 C.E., thus establishing the Buddha’s death in 486 B.C.E. But we are not bothered by this relative chronology based on the date of Ashoka cornation. Since we have seen that Ashoka grandfather chandragupta Maurya is itself is not based on Solid evidence the article Did Megasthanese Meet Chandrgupta. We will go to the root of the evidences to see when he can be dated. The Puranas provide a chronology of the Magadha rulers from the time of the Mahabharata war, Somadhi (Marjari) was the ruler. He started a dynasty that included 22 kings that spread over 1006 years.They were followed by five rulers of the Pradyota dynasty that lasted over 138 years. Then for the next 360years was the 10 rulers of the Shishunag family. Kshemajit (who ruled from 1892 to 1852 B.C.) was the fourth in the Shishunag dynasty, and was a contemporary of Lord Buddha's father, Shuddhodana. 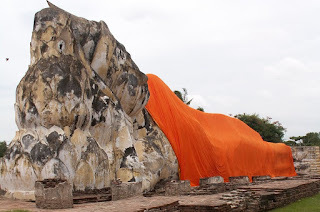 It was during this period in which Buddha was born. It was during the reign of Bimbisara, the fifth Shishunaga ruler (1852-1814 B.C. 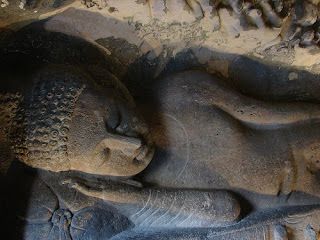 ), when Prince Siddhartha became the enlightened Buddha. 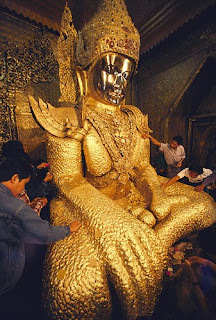 Then it was during the reign of King Ajatashatru (1814-1787 B.C.) when Buddha left this world. Thus, he was born in 1887 B.C., renounced the world in 1858 B.C., and died in 1807 B.C. according to this analysis. Professor K. Srinivasaraghavan also relates in his book, Chronology of Ancient Bharat , that the time of Buddha should be about 1259 years after the Mahabharata war, which should make it around 1880 B.C. if the war was in 3138 B.C. A search was made from 1900 BCE to 400 BCE for the sequence of events: winter solstice, lunar eclipse, solar eclipse, followed by Vaisakha poornima, the full moon day of Buddha nirvana. It is found that there are only 14 dates possible for this sequence of events to occur:1807 BCE, 1694 BCE, 1659 BCE, 1510 BCE, 1250 BCE, 1192 BCE, 1138 BCE, 1119 BCE, 1062 BCE, 1007 BCE, 765 BCE, 690 BCE and 560 BCE. 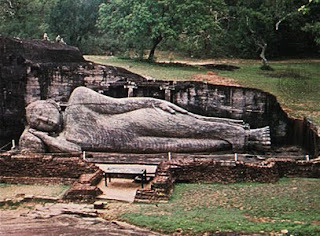 If a time limit of about three months (the time that Buddha spends in sravasti before attaining his nirvana) is imposed, then the time intervalbetween winter solstice and vaisakha poornima must be less than 90 days and that vaisakha poornima should occur before the vernal equinox, as winter solstice occurred after his arrival at sravasti. With this restriction, most of the dates do not qualify, leaving only two dates 1807 BCE and 1510 BCE as possible dates. It is interesting to note that the ‘traditionally’ accepted dates, 544 BCE, or 483 BCE, or any of the recently revised dates do not fit the picture. One additional piece of astronomical information is needed to fix the date. Furthermore, astronomical calculations by astronomer Swami Sakhyananda indicates that the time of the Buddha was in the Kruttika period, between 2621-1661 B.C. A second major event, occurring after another 100 years, this event being the rise of the ruler patron, or the coronation of Asoka. A third event, occurring after a further 18 years. We may note that according to his own inscriptions, it was in the 18th year of his reign that Asoka was persuaded to accept Buddhism. The alternative interval of 256 years, is based on counting backward from a later date in Asoka's reign, namely, the year of his abdication to pursue a life of virtue. This is the information given by the chronicles , the western scholars have taken the difference in years between ashoka , buddha and Megasthanese – Chandragupta meeting to date Buddha. The Ceylonese Pali traditions leave out the kings mentioned RockEdicts from list of Asoka’s kingdoms, whereas Rock Edict XIII includes them. In fact, as many scholars have noted, the character of Asoka from Ceylonese and other traditions is precisely (as RK Mukherjee has said) what does not appear in the principal edicts. Rock Edict XIII, the famous Kalinga edict, is identified as Asoka’s. It was, however, Samudragupta’s (Samudragupta was a great conqueror and a devout admirer of Asoka. He imitated Asoka in many ways and also took the name Asokaditya. In his later life, he became a sanyasi). The Kalachakra tantra puts the life of Sakyamuni Buddha in the 9th. Century BCE William Jones, on the basis of Tibetan records infers that Buddha lived in the 11th century B.C. A number of Tibetan documents place Buddha at 2100 BC. Fa-hsien was in India and at Patliputra c. 410 AD. He mentions a number of kings, but makes not even a fleeting reference to the Gupta, even though according to European scholars he came during the height of their reign. 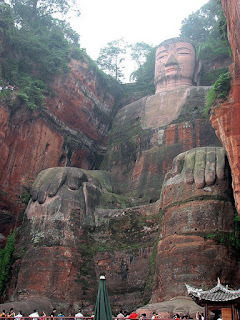 Fa-Hien puts Buddha’s Nirvana at 1050 B.C. Qin Shi Huang, who is said to have suppressed Buddhism, in the same way that he suppressed all other Chinese philosophy. His reign lasted from 246 BCE to 221 BCE. Han Wei, a noted researcher from the Shaanxi Provincial Institute of Archaeology, found evidence in the Historical Records, which were written in 104 BC. Silk Road archaeologist WANG Jianxin said Han's research sounded "reasonable" . Seven Sages of Greece (Dated 620-550 B.C ) surprisingly give the Buddhist Teachings. Thyagaraja Aiyer in his book "Indian Architecture" observes," Here lies Indian Sramanacharya from Bodh Gaya, a Buddhist monk taken to Greece by his Greek pupils and the tomb marks his death about 1000 B.C." If the Buddhist monk went to Greece in 1000 B.C., then the Buddha must have lived at least a few centuries earlier. Somayajulu places Chandragupta Maurya in the 14th century B.C. This puts the Buddha three centuries earlier, i.e., in the 17th century B.C. Long before the word 'missionary' came to be synonymous with Christianity" Buddhist monks ('dharma-bhanakas') were traipsing across Asia. Travelling the Silk and Spice Routes they spread their doctrines all the way from Khotan in central Asia to Antioch and Alexandria in the west. One such visit is documented in 20 BC in Athens. A Buddhist philosopher, Zarmarus, part of an embassy from India, made a doctrinal point by setting himself alight. His tomb became a tourist attraction and is mentioned by several historians. It seems the original Therapeutae were sent on an Indian embassy to Pharaoh Ptolemy II in 250 BC. The word 'Therapeutae' is itself of Buddhist origin, being a Hellenization of the Pali 'Thera-putta' (literally 'son of the elder.') Philo Judaeus, a 1st century AD contemporary of Josephus, described the Therapeutae in his tract 'De Vita Contemplativa'. It appears they were a religious brotherhood without precedent in the Jewish world. Reclusive ascetics, devoted to poverty, celibacy, good deeds and compassion, they were just like Buddhist monks in fact. From the Therapeutae it is quite possible a Buddhist influence spread to both the Essenes (a similar monkish order in Palestine). Gnosticism is Influenced by Buddhism , which was a religion of quite a different order to earlier 'pagan' cults. It was a scriptural religion, making a strong appeal to the emotions. It offered a moral code – and hope. The Gnostic idea of liberating the soul from entrapment in matter is not dissimilar to the teachings embodied in the "4 Noble Truths" of the Buddha. The Greek details presented above are also sometimes dated before Alexander, so the argument that Buddhism came to Greece only after Alexander invasion does not hold water. Greek and some parts of then India like Bactria were part of Persian empire of Darius, so the exchange of ideas is not confined to Alexander era. Hwanin or Divine Regent is a figure in Korean mythology. Hwanin is an alias of Indra. Hwanin is the name on Buddhism of Indra, this name is widely used in east Asia. We have evidences that Hwanin being used in 3rd Century BC in Korea. Japan, Thailand, , Burma, Cambodia, Laos, Vietnam, Indonesia follow the Ceylon (Sri Lanka) date. Apart from similarities between buddha and Jesus Christ, Most Important account has been the Barlaam and Josaphat story, which is the Christianized version of Buddha Story. Philo noted the presence of Buddhists in Alexandria, Egypt. The above accounts say that Buddha can be earlier than the said dates of 560BC and Western and Indology Scholars have not even explained the contradictions in their own calculations. The fundamental sheet Anchor theory (Megasthanese -Chandragupta Meeting) is itself not established. The Indian literary accounts are being dismissed summarily. And Western scholars themselves dont provide any evidence to backup their account. Since Chandragupta Maurya date by Western and Indology scholars is disputable, Buddha Date is also susequently disputable. Regarding what is being said in Ashoka Edicts and what are the claims made on the edicts , we will see in another article. For now Buddha date is nowhere settled. Date by Indian Literary sources and Astronomical calculations is 1807 BC. Are Maukharis and Malwa Guptas Feudatories of Imperial Guptas? Great blog, your work is important and timely. I would add that there is no evidence Emperor Ashoka was a Buddhist. His edicts and actions are more Jain than Buddhist. Edicts do not talk about any religion, It is the Indology scholars telling it is Buddhist edicts. No accurate method to date Edicts, unless it refers to someone who can be dated or script in the inscription can be dated. 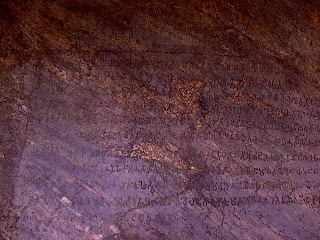 The dating of Ashoka rock edicts is on the basis that it refers to four kings, who are equated to four kings in Greece, who can be dated. But if this equation is false, again the dating goes for a toss. This is an excellent article. I would like to know what are the dates for Valmiki and Panini. Are they as the western historians claim or are they actually a lot earlier also? Therapeutae/Thera-putta account is interesting. I remember reading in Swami Vivakanada's life history this following incident: Swami vivekananda was travelling by ship and woke up on account of a dream. In the dream, the relation between christianity and the dhErapuTTa sampradaya was mentioned to him by a monk further saying by digging in some island, the evidences can be found. After waking up, he asks the captain of the ship and realizes they were travelling near the mentioned island only. It was commented that swami vivekananda was not interested in pursuing it as it is not necessary to know them since all religions teach the same good. In this article gautam budh birth year and in infex of indian history are different. Please clear or edit year otherwise same confusion of 1200 years. Subsequently another article IS GAUTAM BUDDHA AVATAR OF VISHNU was written, that article clarifies some more cogs in dating. Kindly read them. clarify your question. For now Buddha date is nowhere settled. Date by Indian Literary sources and Astronomical calculations is 1807 BC. Now these are in chronological in order and represent the realizations at the particular time. First article we found that Megasthanes did not meet Chandragupta Maurya and the sheet anchor theory is false. 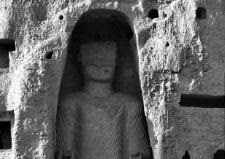 Second Article we found Buddha date is not conclusive as been suggested. 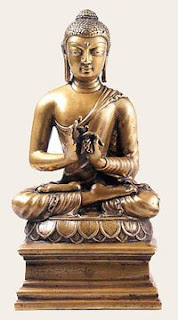 Third Article we found that there are many buddhas and the indology scholars equating Hindu Buddha with Buddhist Buddha is false. The Indian Chronology represents the latest . If I start re-editing the articles everytime new information comes to the fore. then I will be only keep doing that.